We are a group of educators, Suzuki music teachers, musicians and wildlife adventurers who find our greatest joy in helping others along with their learning adventures. We are looking to bring you new products that strengthen your brain synapses, grow your connection with others and surprise you with fun. Sometimes learning adventures can be found in far flung places. 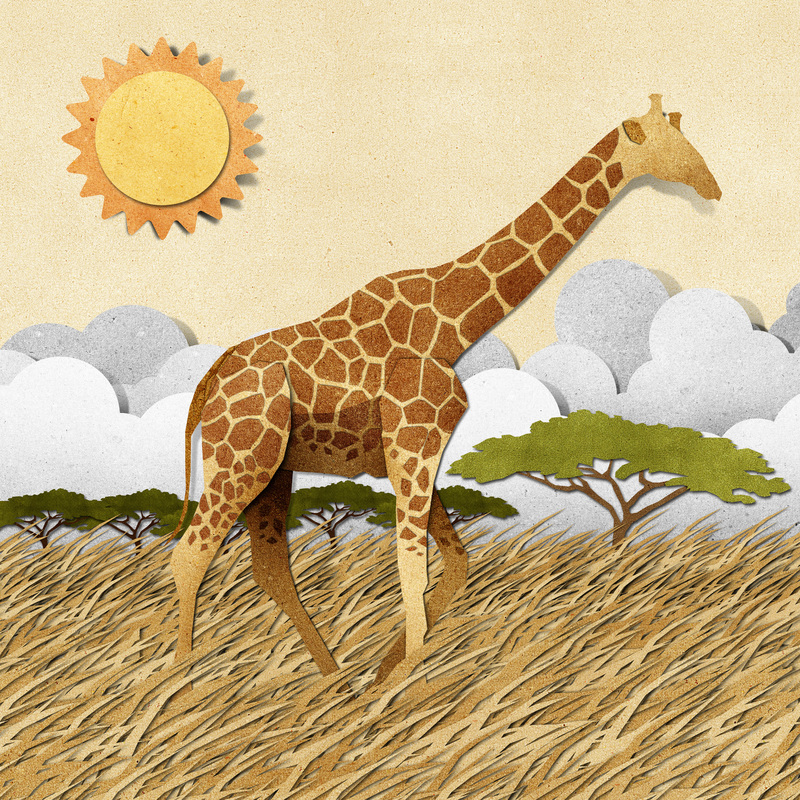 One of us flew from America to Africa in a two seater airplane and saw wild giraffe. Another played her violin at the Sydney Opera House. But some of the best adventures are the ones spent close to home with family and dear friends making music. All of us are musicians, and we hope that you find the same kind of joy and delight that we have through music. 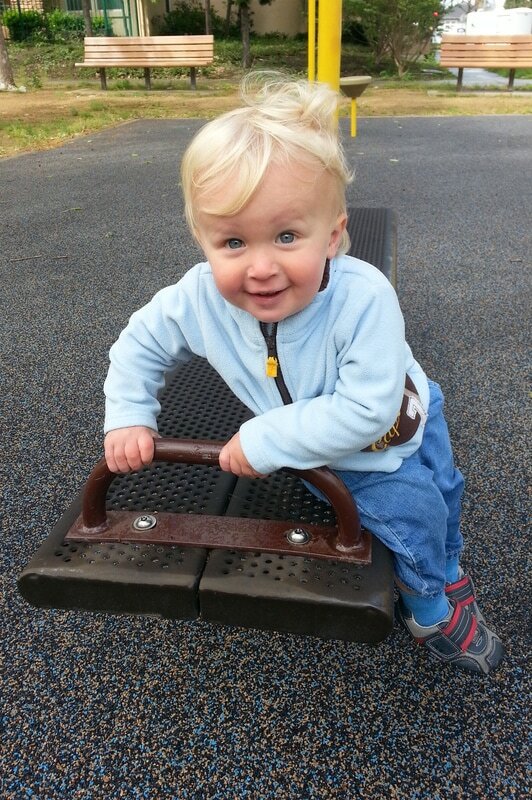 When I held the eldest of my three children for the first time, I wondered who that wee one would grow up to be. Would she love basketball, marine biology or perhaps music? We gave her (and her siblings) as many opportunities to discover their passions as we could while we enjoyed our homeschooling adventure together. You never know where inspiration will come from. After my mother became a grandmother, she decided to fulfill a lifelong dream of learning to play the violin. At that time, my small, two-year-old daughter would go over and watch her grandmother practice, and this small girl said that she, too, wanted to play violin like her grandmother. After many years of Suzuki music lessons, both of my daughters decided that sharing the joy of music with others was what they wanted to do with their lives, and they are both Suzuki violin teachers today. As for me, I have been teaching high school and college math and science off and on for many years, and I find the connection between math and music fascinating, so we created a music book to go with our Glockenspiel Xylophone that combines the two and teaches math patterning as well as music. Which leads us to Up-a-do Unlimited. As a family who is always looking to get “Up and do” something new, we want to bring products to families that inspire them to try something they have never done before, no matter what their age. Learning adventures can lead you (and those around you) to places you never imagined. 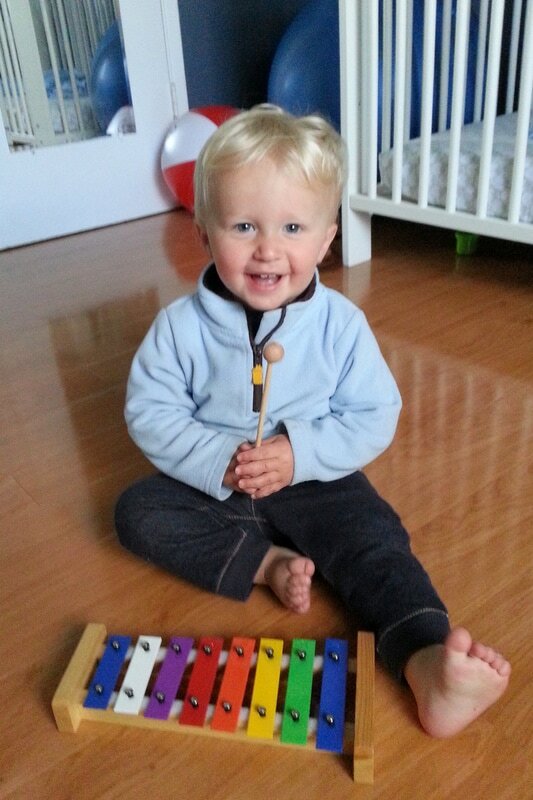 Many of our customers are grandparents who are looking to share a memory-making and musical activity with their grandchildren. I thought you might like to know that I am a fairly new grandmother myself! 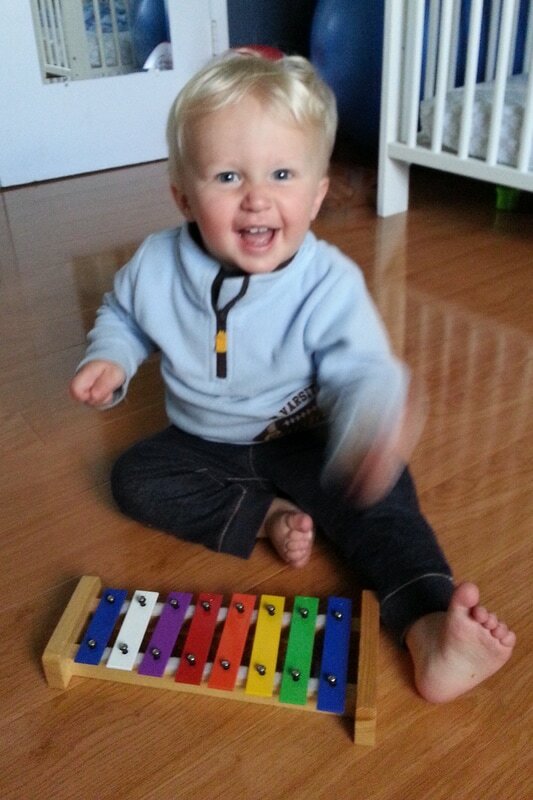 Our eldest daughter’s first child is 16 months old now, and my grandson and I enjoy playing music together on his glockenspiel xylophone – with careful supervision, of course! 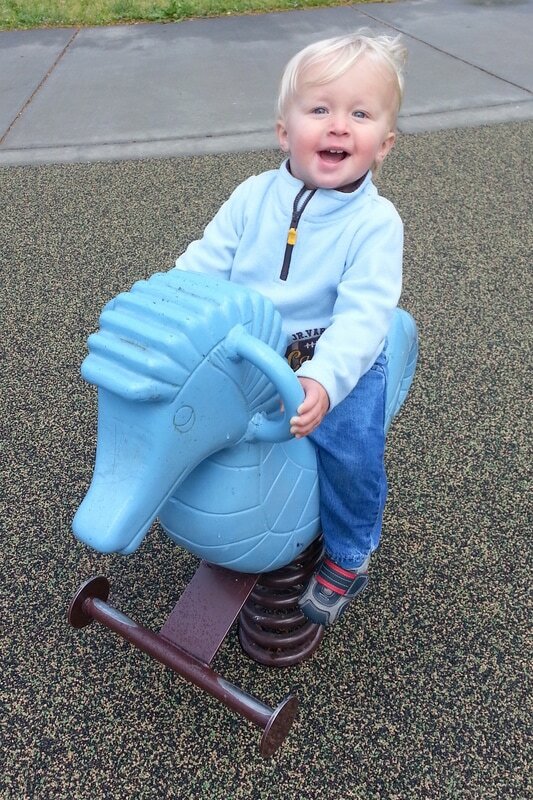 Below are some of the thousands of photos (well – that may be a slight exaggeration) I have taken of this joyful child.